Fall is coming and that means it’s time to plan for your next camping trip. Stay warm and cozy with the right tent heaters. 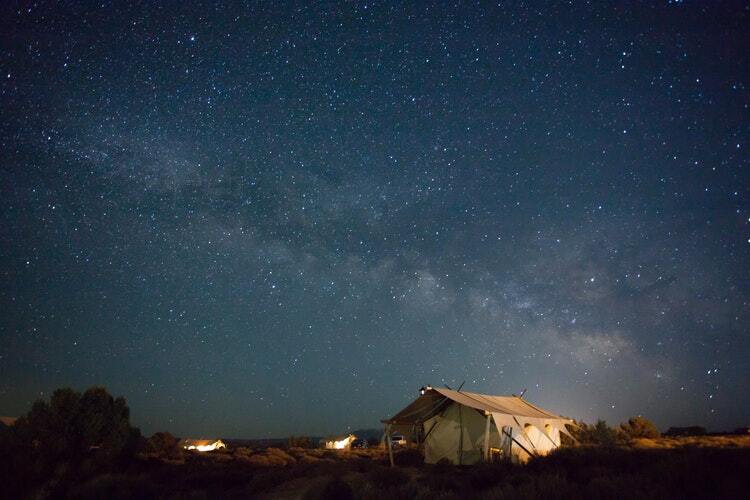 Camping is one of our favorite ways to get back to good old fashioned simplicity. 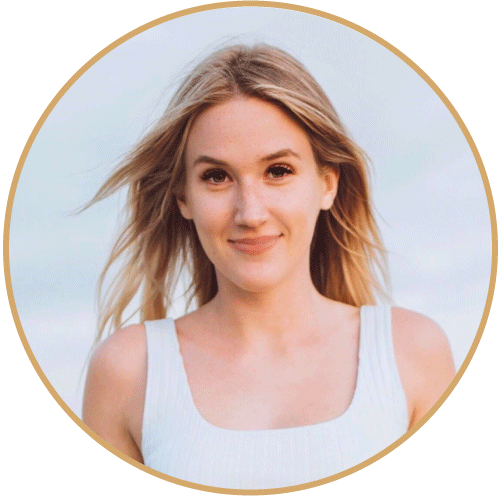 But as much as we enjoy connecting to nature, there are a few items you just shouldn’t do without. Camping in the fall brings with it so many wonderful things. The leaves change to a gorgeous kaleidoscope of colors, the parks are less crowded, and you can scope out that special spot all to yourself. With this said though, it can get a little chilly without the right gear. And that’s where having one of the best tent heaters comes in handy. Have you ever heard of portable tent heaters? These little things are magic. Instead of shivering and tossing and turning in your sleeping bag, you can sleep peacefully throughout the night. But you’re probably wondering what types of heaters there are and which one to get. Lucky for you, that’s why we’re here. Let’s check out the various types of tent heaters. 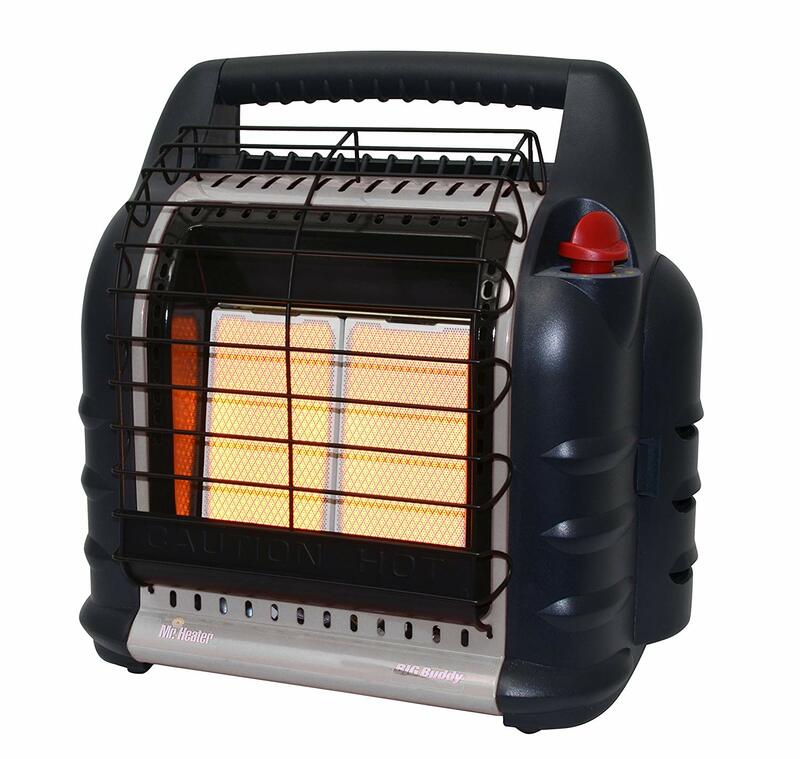 Generally speaking gas tent heaters are the cheapest ones on the market. They will eventually end up costing you more in the long run, though. As you may have guessed, gas needs to be refilled often and could pose some serious safety risks if it’s knocked over. All in all though, they provide the best heating experience as they reach the highest temperatures. Just exercise extra caution when you use them. This is the most expensive of all the tent heaters. Plus, you will need to get some kind of electrical connection. You could use a campsite hook-up, car, or a generator. These heaters will never run out of gas and the auto shutoff feature is made to prevent a fire hazard if they fall over. While these tent heaters may not be the most powerful, they are extremely portable. Since they are so versatile, you can take them literally anywhere and everywhere without having to worry about a power hookup. Just make sure that the batteries are fully charged before you embark on your trip. It doesn’t hurt to have a few extra charged batteries on hand too. Now that you have a good sense of what the best types of tent heaters are, here are some tips on how to choose the right one. Understanding these factors will lead to an overall more comfortable and enjoyable camping trip. Here are the main things you should consider when choosing from a tent heater. If you’re going to use these tent heaters frequently, then you should keep the weight in mind. In the event that you have to hike a ways, having a heavy space heater to carry can really slow you down. Do you mind having a tent heater that is an energy hog or are you looking for something more eco-friendly? This is one of the most important factors to keep in mind due to costs too. Are you a light sleeper? Some of the portable tent heaters can be a bit noisy. If you’re looking for something a little more quiet, we recommend investing in an electric heater. Safety should be number one when you’re choosing the best tent heaters for the job. Many of our picks already have safety features incorporated into their design. With this said though, you shouldn’t take these features for granted. Always make sure you are exercising caution when you decide where to place your heater and how long to run it for. Auto shut off is a great option. Try to find out how much space the heater covers. You’ll want to make sure the coverage area is as large as your tent is. We’re sure you’ve heard of the Mr. Heater brand before. After all, it’s the most popular brand for tent heaters in North America. This particular style is a 4,000 -18,000 BTU Liquid Propane heater. It connects directly to two 1 lb. cylinders and can heat enclosed spaces up to 450 square feet. The integrated fan feature increases the heating capacity through convection. Two swiveling regulators allow you to adapt from disposable cylinders and channel it into a remote gas supply. All you need is a single hose and filter. When it comes to lighting the unit, all you need to do is push and rotate the knob. After that, you can sit back and let the built-in Piezo sparking mechanism fix the rest. Our favorite feature, however, is the Oxygen Depletion Sensor. In the event that you accidentally tip over the unit, you can rest easy knowing auto shut off will kick in. Last but not least, it is important to know that the company is not able to sell this portable heater to Canada and Massachusetts. We love the size of this Mr. Heater style. It offers a large heating surface area, easy to start control, fold-down handle, and a swivel-out fuel connection. It’s easy to see that this company has set the bar high for portable radiant heating comfort. Thanks to a low-oxygen shut off feature and tip-over safety features, you can get a good night’s sleep knowing it provides reliable heat whenever you need it. This heater is indoor safe for spaces up to 95 square feet. So, you won’t have to worry about a thing. To calculate how much heat you need, measure the space’s dimension and calculate cubic feet. 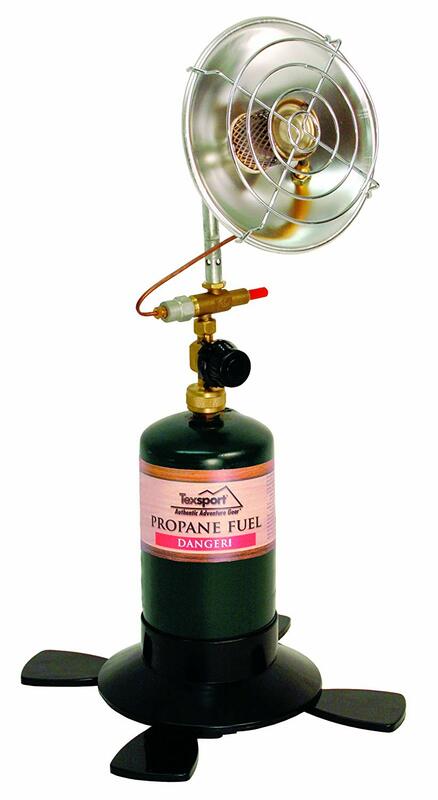 The Texsport Portable Outdoor Propane Heater is the ultimate camping accessory. It can adjust up to 2,890 BTUs. Better yet, it is super easy to use and transport. It is compatible with both a 16.4 oz or 14.1 oz disposable propane cylinder. Like the other portable tent heaters we mentioned, it too has an auto-shut off fuel valve. In addition, it has a high-quality stainless steel burner, on and off control knobs, an auto shut off valve, large plastic base for stability, a carry handle, and aluminum reflector with safety grid. If you haven’t heard of Texsport before, it’s about time you did. This company really does live up to its name. This company has been making outdoor adventurers happy for the past forty years. Within its collection of gear, you will also find some of the best quality hammock sets on the market. This tent heater is estimated to go through one pound of fuel every four to six hours. 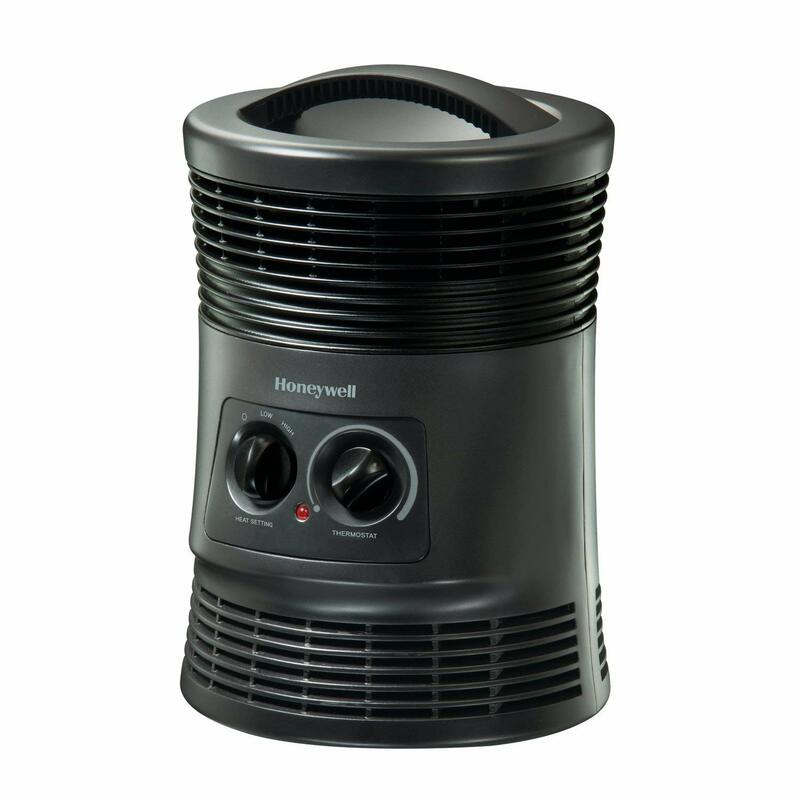 As one of the best tent heaters, this style from Honeywell checks all the boxes. Excellent safety features? Check. Energy savings? Check. Designed to provide all-around warmth? Check. 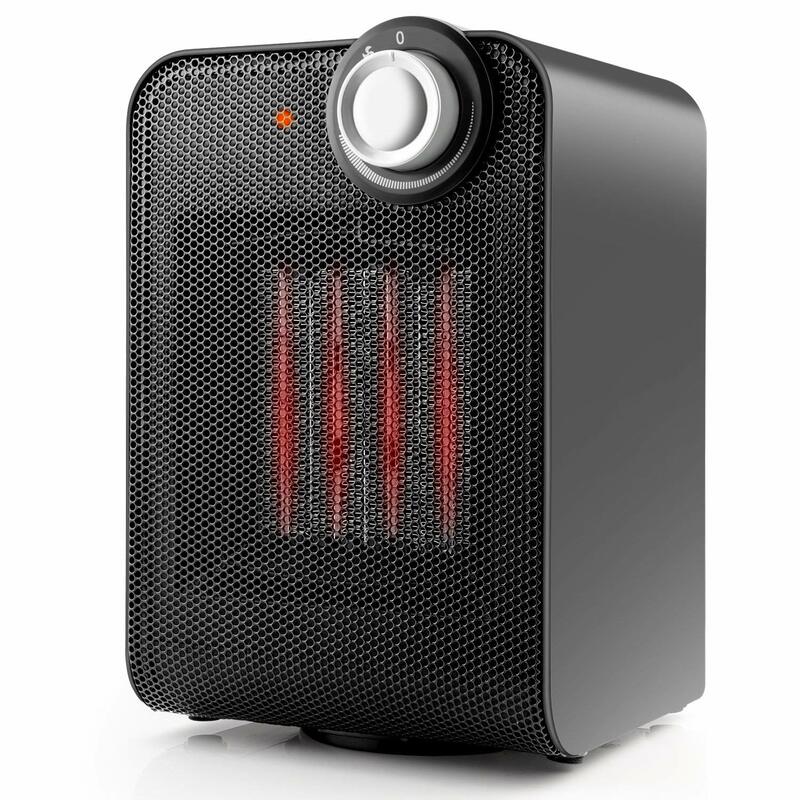 And get this… the 360 Surround Heater offers this all at a reasonable price. It is perfect for camping and even small to mid-sized rooms. Safety features include the 360 degree Safety Tip. This means that if your heater falls over in any direction, the auto shut off mode kicks in. Last but not least, there are two different heat adjustment modes. So, you have complete control over the temperature adjustment process. This brand stands for quality and comfort. Offering 1,500 watts of warmth, this small heater packs a punch. It comes fully assembled with a 3-year limited warranty and easy to use controls. Simply set the thermostat to the temperature you would like or choose from 3 quiet settings. There’s high heat, low heat, or fan only, options. Remember that safety comes first. 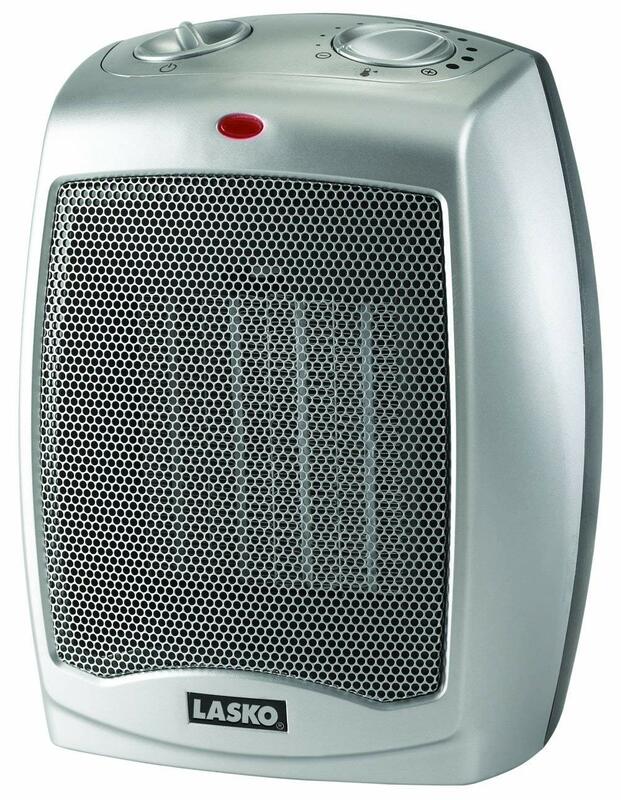 The Lasko Ceramic Heater offers protection from overheating and a cool-touch exterior. This should go without saying but do not use it in places with high humidity. Now, whenever you are camping, you have warmth when you need it. The built-in handle allows for easy relocation. Just plug it into an outlet and cozy up. You’ll never enjoy a better night’s sleep. Dimensions: 5.75" X 7" x 9.2"
While fall and winter certainly are lovely, no one loves being cold. That’s why you should invest in the best portable tent heaters. The OPOLAR Ceramic style is one of them. You’ll find that it looks and operates a lot like the thermostat on your wall at home. Weighing in at only 3.9 pounds, it’s lightweight enough to lug around with all of your other gear. Place it in the corner of your tent (away from the wall) and let it work its magic. We’re sure you’ve noticed a common theme among all of the tent heaters we’ve listed. It’s also equipped with tip-over protection, meaning it will auto shut off when knocked over. 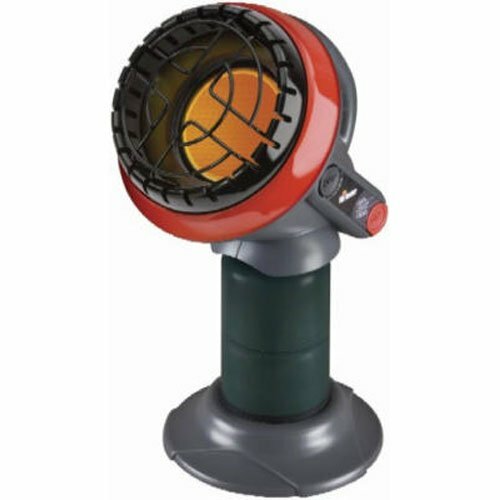 A quiet but powerful heater, it can produce up to 1,500 watt output. The noise will not disturb your sleep. Even if you crank the thermostat control up high, it is very responsive and will immediately heat up for you. Last but certainly not least, it also offers over heat protection. As we make our way through the first week of September, fall is just around the corner. For avid hikers and campers, this is an exciting opportunity to enjoy the new season - and less tourists. It’s also a great time to refresh your travel gear collection. 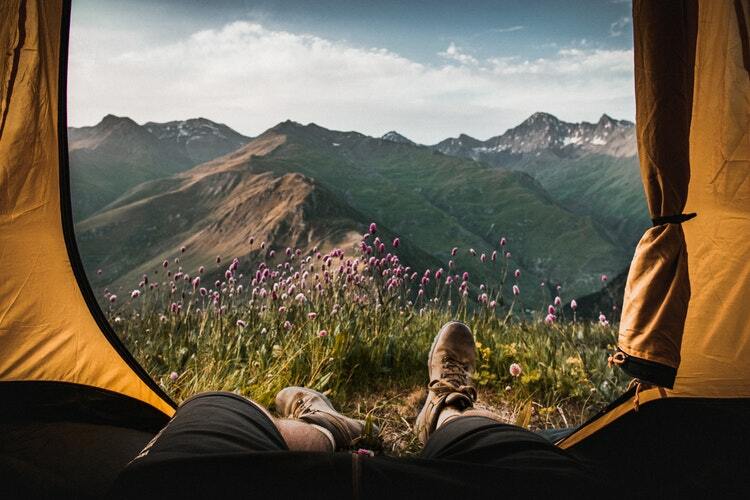 If you’ve been camping before, you must know that having the right gear can make or break your experience. Just like you would invest in a great sleeping bag and tent, choosing the right tent heaters is just as important. We hope that this guide gave you some insightful information into the best products for the job and what difference they make for campers everywhere.